At the heart of every ecommerce website sits a payment gateway. The magical way that allows customers to pass you their hard earned money in exchange for your goods or services. 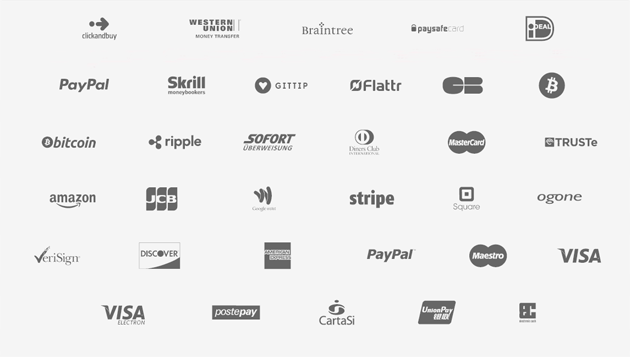 However it’s not always easy to advertise these payment processors in a nice visual way. Therefore here comes Orlando TM Merone with a wonderful webfont containing 34 glyphs of the most important payment systems.